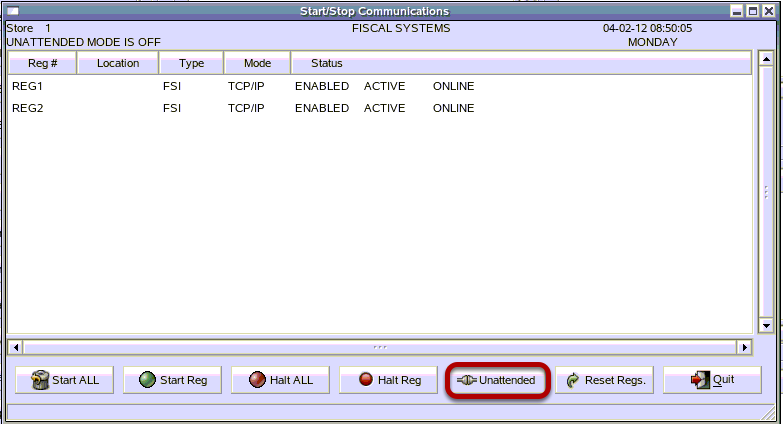 TravStar1 Point Of Sale SystemManager's Work Station Additional SetupHow Do I Check and Correct Communication Issues between the Manager's Workstation and the Register? 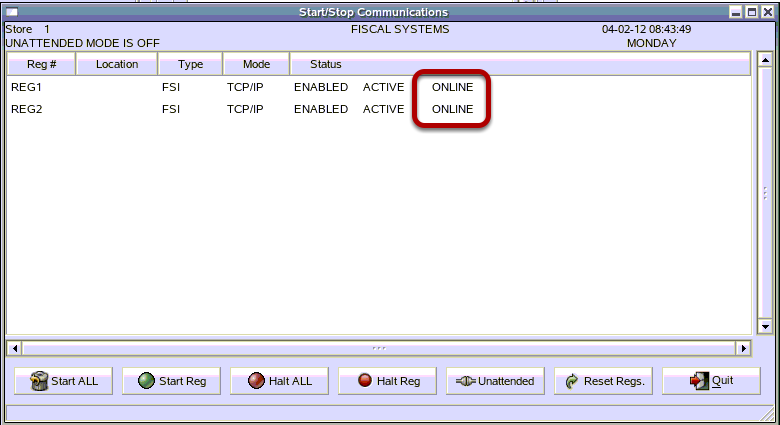 How Do I Check and Correct Communication Issues between the Manager's Workstation and the Register? 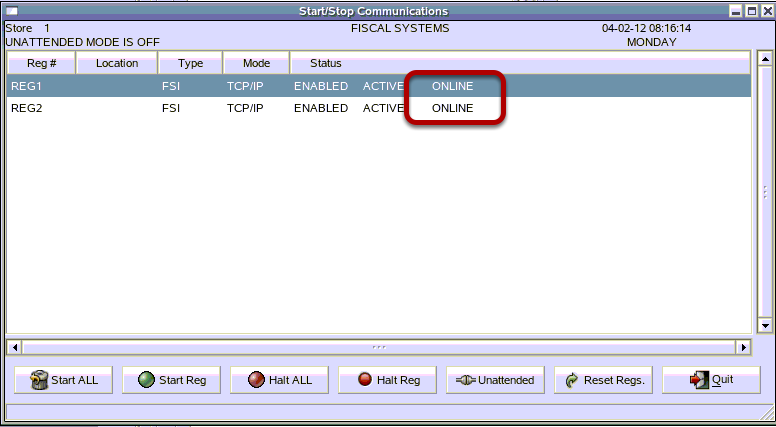 This lesson will teach you to check communication between your Manager's Workstation and Registers. 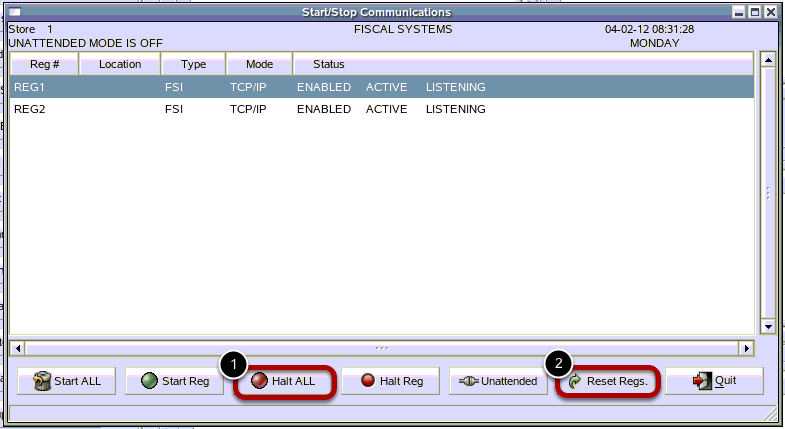 You will also be shown how to reset communications to insure that your MWS and Registers are communicating. You should NOT halt communications to a register while a cashier is running a Register Z (End of Shift or End of Day). 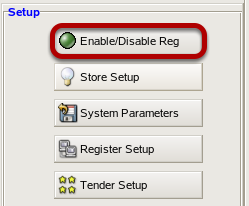 Click on the "Enable/Disable" Reg button. 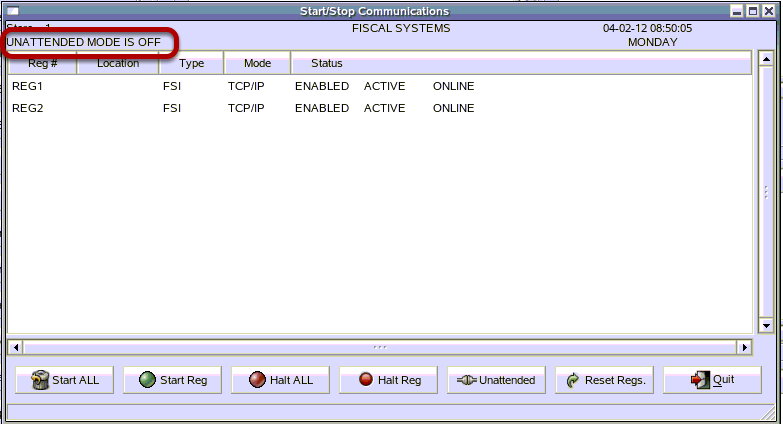 In the Start/Stop Communications screen, you can check the current status of communications between your registers and the MWS. Normally your registers show a Status of ONLINE. 1) Click on the "Halt ALL" button. 2) Click on the "Start ALL" button. You will see the Status say STARTING and then it may change to LISTENING. The status should change to ONLINE. If in 30 seconds you do not see the Status change to ONLINE, proceed to the next step. 1) Click on the "Halt ALL" button. The status will change to OFFLINE. Your status should go back to ONLINE. 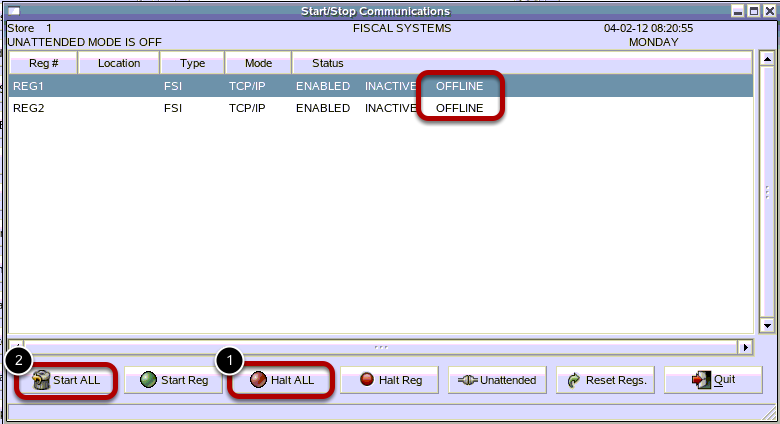 If you have tried the Halting ALL, Starting ALL, and Reset Regs steps and your status still says OFFLINE or LISTENING, then you may have other issues such as Network communications issues or a corrupted file. Contact an IT person to verify network communication. You can also contact the Fiscal Helpdesk to assist you in determining what the issue is. The Unattended mode allows you setup a Command that be sent automatically to the register at a designated time each day (See the lesson How Do I Setup And Send Commands To The Register?). For this to work the Unattended Mode must be turned on. The Unattended Mode only needs to be turned on if you have Commands that you want to automatically send to the register. Otherwise, it can remain off. The Unattended Mode should say that it is ON. To turn the Unattended Mode OFF, repeat these steps and click the "Unattended" button. If you normally have Unattended Mode set to ON, and you have run Reset Regs, you will need to turn the Unattended Mode back on after the reset. It does not automatically turn back on. To Exit, click on the "Quit" button. 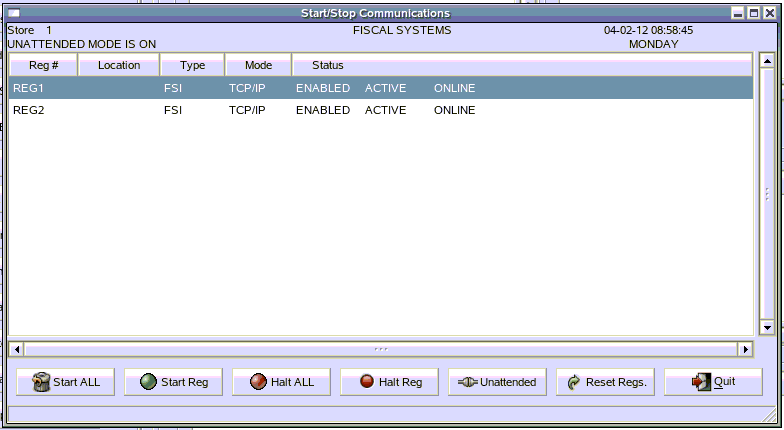 Prev: How Do I Backup the Manager's Work Station? Next: How Do I Require Cashier Password on Specific Register Functions?